Recently I was a researcher for a small cooking show called ‘Charlie’s Kitchen’. 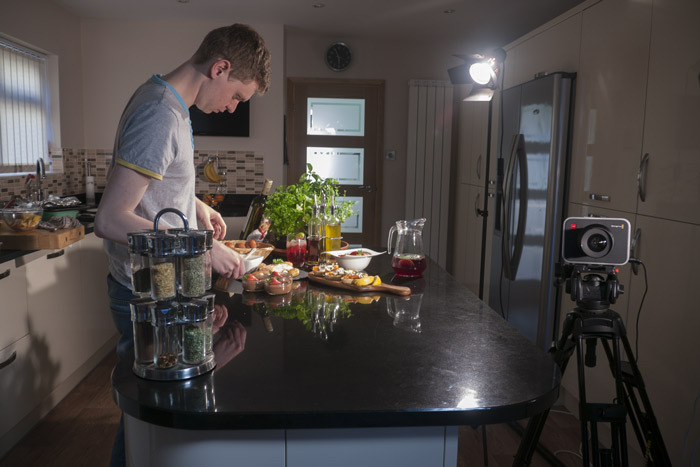 For most of the day I was acting as the home economist, preparing ingredients and arranging food for stills pack shots. Before shooting I helped light the area, and during recording I was operating camera on a dolly and track.